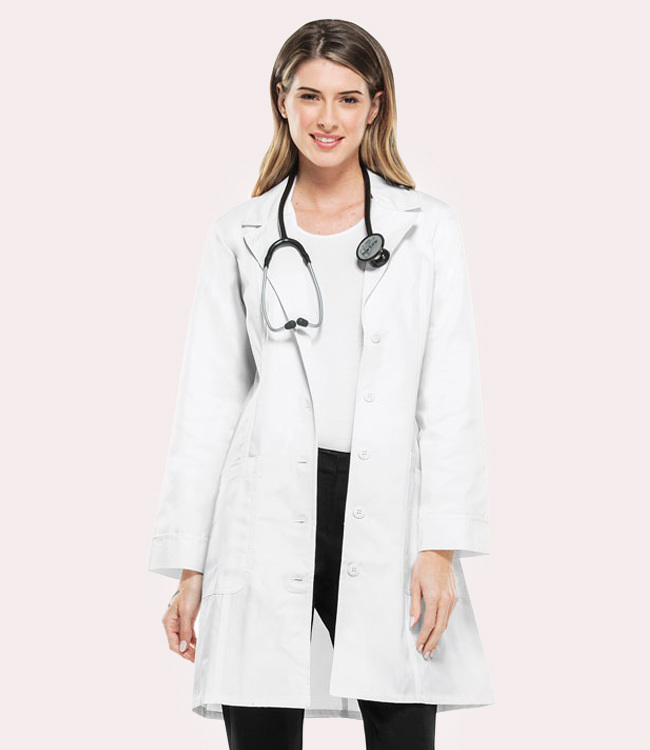 Professional 36" Lab Coat rich with mock cuffs and back yoke fashion detailing. Luxury 65% cotton/35% polyester twill fabric with soil release finish. Has two angled lower pockets in front. Cherokee logo on lower pocket. Center back vent pleat. Also has stylish princess seam stitching in the front, and a back and center button tab belt.